50th min TRY STEELERS to five eighth Talatau Amone our wide. No conversion. 56th min Raiders almost go the length! Last pass called forward. Oh, the tragedy of it all! 65th min Raiders attack in the red zone breaks down! Lots of opportunity gone begging! That means the Raiders qualify for the SG Ball finals in fifth place. The Raiders Tarsha Gale Cup team qualified for the finals in eighth. AT A GLANCE: The Canberra Raiders SG Ball team qualified for the finals in sixth place, and now take on the seventh placed Balmain Tigers, in week one of the finals. Last weekend at Seiffert Oval, the Raiders had the opportunity to jump over the first placed Illawarra Steelers, but they just fell short, going down 28-22. The Raiders started the match on fire, producing a terrific team try for fullback Manese Kaho in just the second minute. However, the Steelers then piled on four tries of their own, with halfback Jayden Sullivan in the thick of the action. That gave the visitors a 24-4 lead after just 25 minutes. Canberra hit back with two tries - to second rower Jack Williams and a second to Manese Kaho - and a penalty goal inside the final six minutes of the first half... so they trailed 24-16 at the break. The Raiders continued their comeback 10 minutes into the second half, with a converted try to centre Junior Tupou, reducing the deficit to only two points. A four pointer to Steelers five eighth Talatau Amone stretched Illawarra's lead to 28-22 just five minutes later. But while the Raiders unleashed the attack in the final stages, seriously threatening to cross the line on more than one occasion, they could not breach that six point gap. The Canberra Raiders met their Finals Week 1 opponents, the Balmain Tigers in Round 2 at Kippax, in very hot conditions. The Raiders led at half time, 16-8, but the Tigers scored six unanswered tries in the second half, to run out 44-16 winners. It was the clearly the Raiders' worst defeat of the regular season. But it is also the case that the team's form has been on an upward trend since that time. The Raiders recorded a 5 and 3 record in the regular season, while the Tigers won four, drew one and lost three. The Raiders have a very slightly better attacking record than the Tigers, averaging 29 points per match (28 for the Tigers). The two teams have an identical defensive record, conceding an average of 19 points per game. Last weekend the Tigers were beaten 42-14 at Leichhardt Oval by the Central Coast Roosters, a team that finished third on the ladder. The Tigers have a WWLWL record in their past five games, while the Raiders have a LWWWL form line. The Round 2 result is a concern for the Green Machine, but two months have passed since then, and the Raiders have produced some good form. Clearly there is not much between the record of the two teams overall. We'll tip the Raiders will progress to week two. AT A GLANCE: The eighth placed Canberra Raiders take on the fifth placed Parramatta Eels in Week 1 of the Tarsha Gale Cup finals. The Raiders suffered a 58-4 loss to the first placed Illawarra Steelers in Round 9, while the Eels were defeated 48-4 by the second placed Knights. However, the Raiders will likely find it tough going against Eels on Saturday. The Raiders booked just two wins in the regular season, against the Bulldogs and the Roosters Indigenous Academy - the two teams that missed the top eight. The Raiders' 2 and 7 record compares unfavourably with the 6 and 3 posted by the Eels. The Raiders have a negative points differential of 172, while the Eels finished on +54. Hopefully, however, the Green Machine can pull off a big upset! Unfortunately, the Canberra Raiders finished 11th in Harold Matthews, winning two games and losing six. They lost in Round 9 to the fifth placed Illawarra Steelers, 30-16. Hearing that the NSWRL has incorrectly tallied the points for and against in SG Ball, so the Raiders finish sixth, not fifth. So they meet the seventh placed Tigers. The Week 1 finals draw has changed on NSWRL.com.au, but not the ladder yet, or their announced list of finals. NSWRL has confirmed fixture details for Week One of the 2019 Junior Representatives finals series on Saturday, 13 April, after making an error in the SG Ball competition ladder. 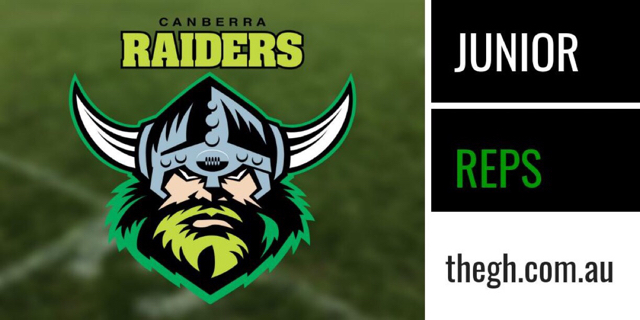 Welcome to our coverage of this evening's Canberra Raiders Junior Representatives Week 1 Finals matches. This post will update with live scores for the SG Ball clash between the Raiders and Balmain Tigers. The Raiders Tarsha Gale Cup team has been eliminated in their finals match against the Parramatta Eels. 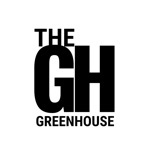 Canberra Raiders 34 lead Balmain Tigers 10 with 10 minutes remaining. The Sea Eagles and Steelers progress to Week 3. Next week, the Raiders meet the Roosters, while the Eels meet the Bulldogs. AT A GLANCE: The Canberra Raiders face the Central Coast Roosters in Finals Week 2 of the SG Ball Cup. In Week 1, the sixth placed Raiders eliminated the Balmain Tigers, with a 34-10 victory at Blacktown's HE Laybutt Field. Canberra had suffered a 44-16 loss to the Tigers in Round 2 of the regular season at Kippax, but well and truly turned the tables on Saturday. Canberra posted four tries to one in the first half, with Junior Tupou scoring a double, and Aidan Gaffey and Manase Kaho also chipping in with four pointers. The junior Green Machine built on the 22-4 half time lead in the second stanza - with two tries to Jack Williams in the space of three minutes. The Tigers also produced a converted try in the second half, but it was nowhere near enough. The Raiders have not faced the Central Coast Roosters since 2017, when Canberra lost at Seiffert Oval 34-16. However, both teams now have a new crop of players. The Central Coast finished the 2019 regular season in third place on the ladder, recording seven wins and two losses (Raiders 5 and 3). The Raiders had a slightly better attacking record than the Roosters, averaging 29 points per match (26 for the Central Coast). However the Roosters have the better defensive record, conceding 18 points per match (Raiders 23). Last weekend the Central Coast was beaten 40-12 by the Illawarra Steelers at Wollongong Stadium. The Roosters had a six game winning streak between Rounds 2 and 7; they have a WWLWL record in their past five. The losses were to the Sea Eagles and the Steelers - the teams that finished first and second. The Raiders have a WWWLW recent form line, losing to the Steelers by six points in the final round of the regular season. However, the Raiders pushed the Steelers all the way - and hopefully, the recent results of the two teams against Illawarra are a pointer for this clash. We'll go with the Green Machine to continue their finals march in this one. Unfortunately, the Canberra Raiders bowed out of the Tarsha Gale Cup finals in Week 1, soundly beaten by the Parramatta Eels, 48-4 at Blacktown. The Raiders showed some good signs of improvement this season, but that result shows coach Matthew Corkery still has a way to go to build a competitive outfit. Raiders SG Ball coach Dean Souter said that he’s proud of what his team has accomplished in 2019, and will be hoping to continue the push further in the finals when they meet the Central Coast on Good Friday. Welcome to our coverage of the Canberra Raiders Week 2 Finals clash with the Central Coast Roosters. This post will update with live scores from 4pm so refresh for the latest. Raiders eliminated... bad luck boys, you've had a good season! Some fantastic talent on the NSW Central Coast. A great effort when many of the perceived top talents go to Manly or Newcastle. Roosters have no local juniors but they have adopted the Central Coast and are pumping some decent resources into the area.